Kinson Primary School was founded in 1834 and is one of the oldest schools in Bournemouth. The original site is where Kinson Green is currently located. It moved to its present site in 1934 where today, the building is described as a ‘Little Palace – bright and airy’. The Kinson primary school project consists of expanding and reconfiguring the current facility to facilitate an expected increase in pupil population. Phased construction; New fixtures and fittings; New kitchen facilities. 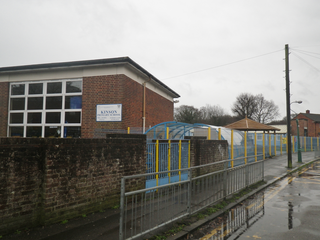 Fellows Consultants were appointed by Bournemouth Borough Council to conduct a Stage C Cost Plan for the expansion and reconfiguration of the existing school to provide new school facilities consisting of classrooms, staff and administration offices, dining hall and kitchen. The project is split into 5 stages to mitigate the risk surrounding the project and to allow the safe and efficient operation of the school to continue whilst construction work takes place.